Yamagata Prefecture (, Yamagata-ken) is a prefecture of Japan located in the Tohoku region on Honshu island. Its capital is Yamagata. The aboriginal Ezo () people once inhabited the area now known as Yamagata. 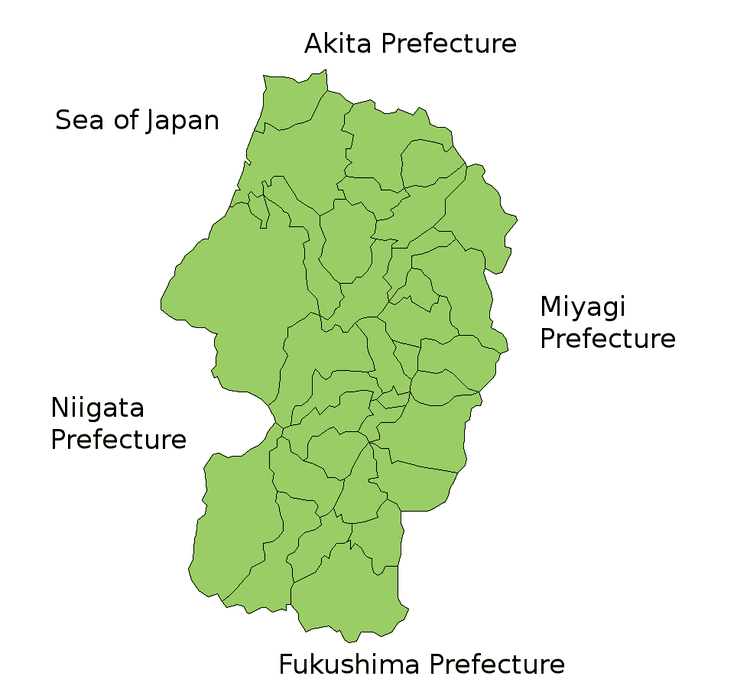 Yamagata and Akita Prefecture were known as Dewa Province until the Meiji Restoration. During the Heian Period (794–1185), the Fujiwara () family ruled the area. Yamagata City flourished during the Edo Period (1603–1867) due to its status as a castle town and post station, famous for beni (red safflower dye used in the production of handspun silk). In 1689, the famous haiku poet, Matsuo Basho visited Yamagata during his five-month trip to the northern regions of Japan. 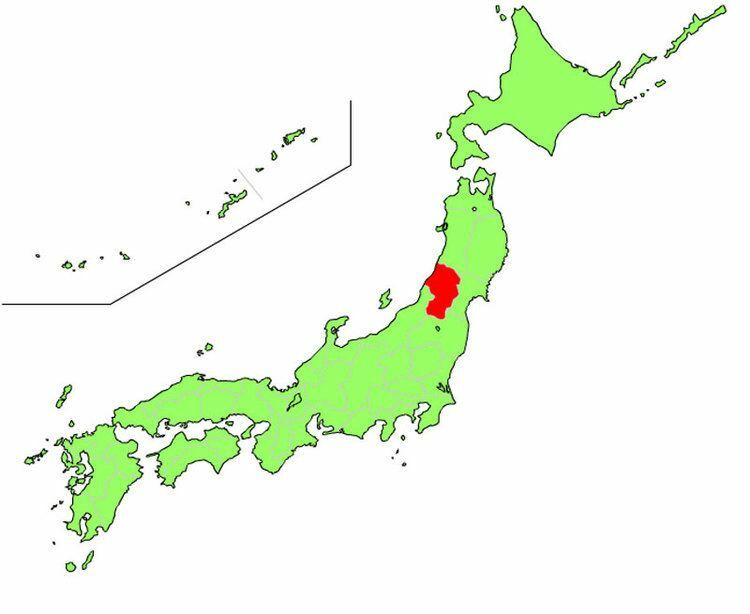 Yamagata Prefecture is located in the southwest corner of Tohoku, facing the Sea of Japan. 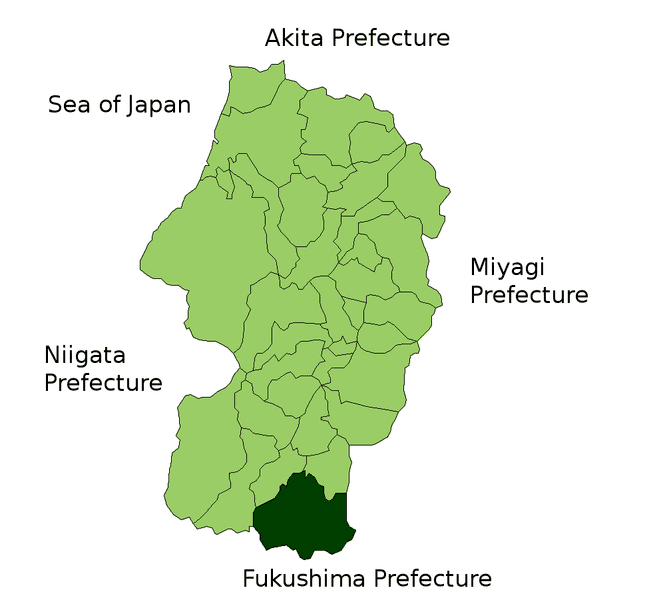 It borders Niigata Prefecture and Fukushima Prefecture on the south, Miyagi Prefecture on the east, and Akita Prefecture on the north. All of these boundaries are marked by mountains, with most of the population residing in a limited central plain. 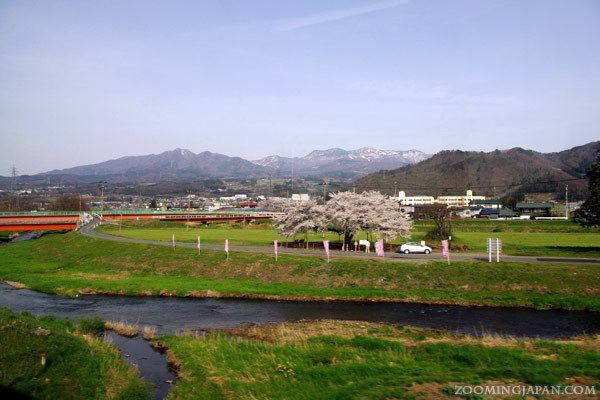 As of 1 April 2012, 17% of the total land area of the prefecture was designated as Natural Parks, namely the Bandai-Asahi National Park; Chokai, Kurikoma, and Zao Quasi-National Parks; and six Prefectural Natural Parks. Beginning in 2003, Yamagata city officials with the aid of Tohoku University of Art and Design began a three-year project in which the Buddhist art of the city’s temples would be catalogued and compared to a set of guidelines in order to identify “cultural assets.” One hundred and ninety temples have had their works of art examined and several significant examples of Buddhist sculpture have been discovered. At Heisenji Temple, in the Hirashimizu district, a particularly rare statue, a seated Vairocana Buddha made from zelkova wood, was found. Other significant works include sculptures from the Heian Period (794–1185) and Kamakura Period (1192–1333). The Dewa Sanzan are three holy mountains that form a traditional pilgrimage for followers of the Shugendo branch of Shinto. The famous Gojudo (five-story pagoda) is at the base of Mount Haguro, the lowest of the three mountains. 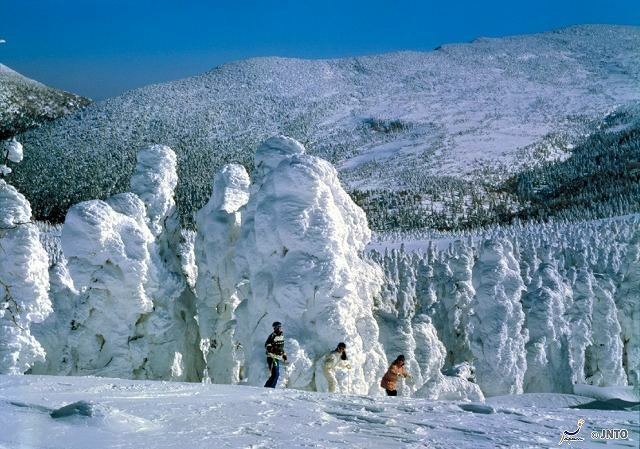 Mount Zao is a famous winter ski resort, also known for its snow monsters (frozen snow covered trees) in the winter, and the Okama crater lake, also known as the Goshiki Numa (Five Color Lake) because its colour changes according to the weather. The largest is the hanagasa matsuri (????) which takes place in Yamagata City on the first weekend in August, when thousands of people perform the hanagasa dance in the city centre and attracts up to 300,000 spectators. Yamagata City is the home of the bi-annual Yamagata International Documentary Film Festival in October. In February, a snow lantern festival is held in Yonezawa at the Uesugi Shrine. Hundreds of candle-lit lanterns light pathways dug into the snow around the shrine. Yonezawa is also the site of the Uesugi Festival (??? ?, uesugi matsuri) in mid-spring. The festivals highlight is a re-enactment of the Battle of Kawanakajima on the banks of the Matsukawa River.